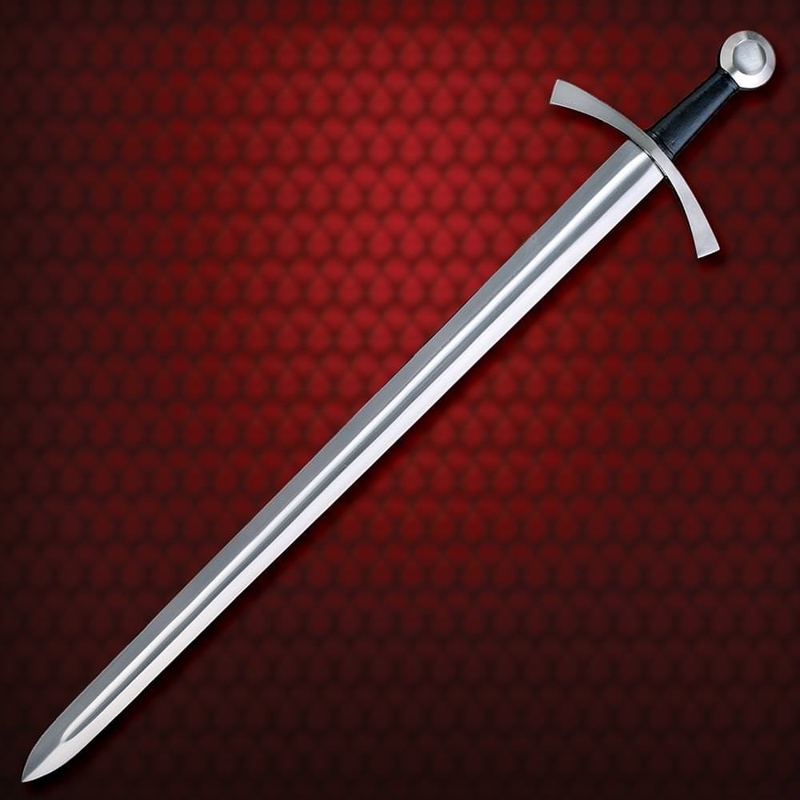 This sword is an Oakeshott Type X with a Type I pommel and a Type VII crossguard. 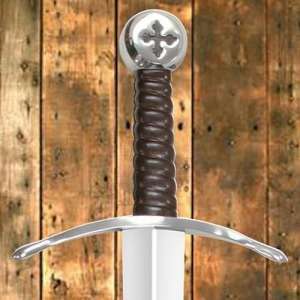 The long and wide fuller on this blade lightens the overall sword and make it possible to deliver fast and shearing cuts, capable of cutting through the mail and padding that were worn during the period. 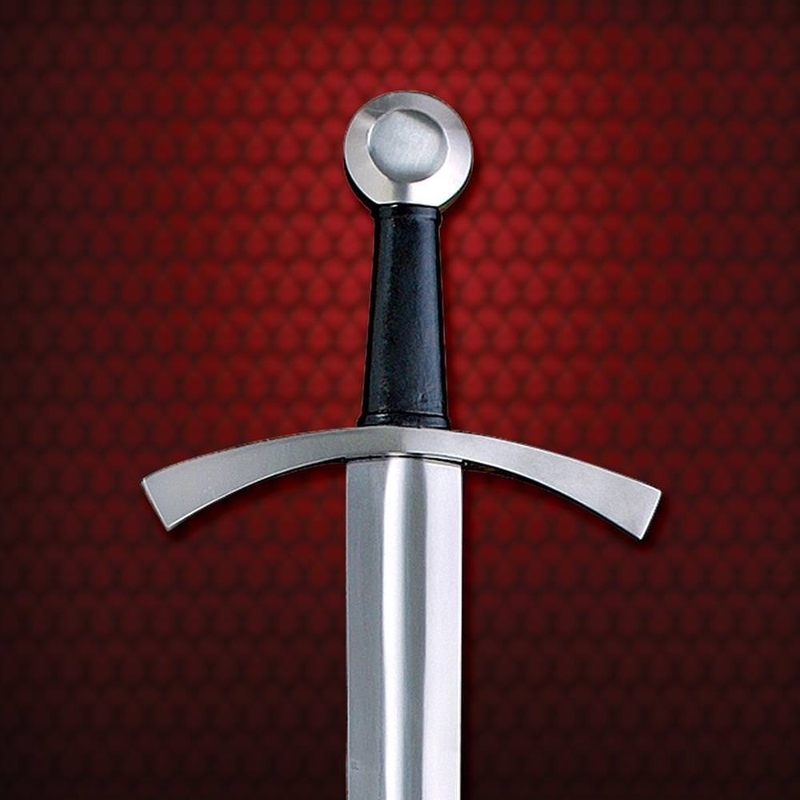 The long guard offers good protection from an opponent’s shield or blade, while the classic wheel pommel brings the sword very nicely into balance. 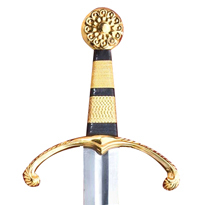 This type of sword was in service for a long period of time throughout all of Europe. Discuss your project requirements and see how we can help turn your ideas into reality. Windlass Steelcrafts © 1943 - 2019 All Rights Reserved.